Magic manifested itself last Saturday as Prince Harry and Meghan Markle held their royal wedding ceremony. It was hard to miss the extravaganza with the thousands of roaring fans outside of the castle and millions more cheering from their homes. The royal wedding was certainly a sight to be seen. However, some viewers weren’t tuning in for the people, some were tuning in for what the people drove. That’s right: the royal cars. The royal wedding is a showcase of classy and extravagant influencers becoming joined under a sanctimonious royal ceremony. What people often forget is it’s also a showcase of the regal rides they arrive in. Get the tea and crumpets ready, because we’re breaking down the automobiles from last Saturday’s royal wedding. This list might inspire you drive something fancy to your future wedding. For the Jaguar E-Type Concept Zero, there was no escaping the ravishing looks. It’s sleek and simple design caught the attention of obsessed car fans everywhere. This artisanal automobile was juxtaposed with the sophisticated style of the castle and the surrounding grassy knolls. It looked like a scene from a car commercial for billionaires. The Jaguar was also engineered to be fully electric. While Prince Harry and Meghan Markle were driving their royal victory lap, they were also being eco-friendly. From its brilliant design and breathtaking appearance, the E-Type undoubtedly has it all. Oh – Prince Harry and Meghan Markle looked great, too. Batman has the al, Wonder Woman has the invisible jet, and the Queen of England has her Bentley State Limousine. Just like every crime fighting superhero, the Queen has a preferred mode of transportation. 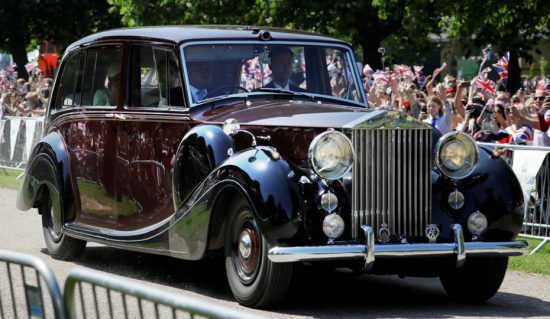 Her signature ride made its expected appearance at the Royal Wedding harboring the Queen herself. 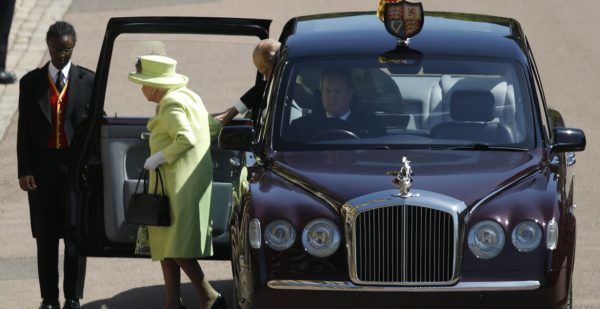 Some think the car is what the Queen is drawn to, but really, it’s her driver, because he took the best online defensive driving course NY could offer. This version of the Bentley State Limousine was given a biofuel engine. 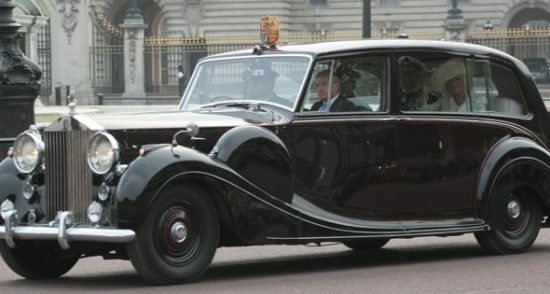 While they’re driving historic vehicles, the royal family still finds a way to be eco-friendly. They should refer to this car as the Bentley State Limou-green. Seen for a split second in the footage of Prince Harry and Meghan Markle driving their Jaguar into the distance, a clandestine guest lay waiting on the side of the road. 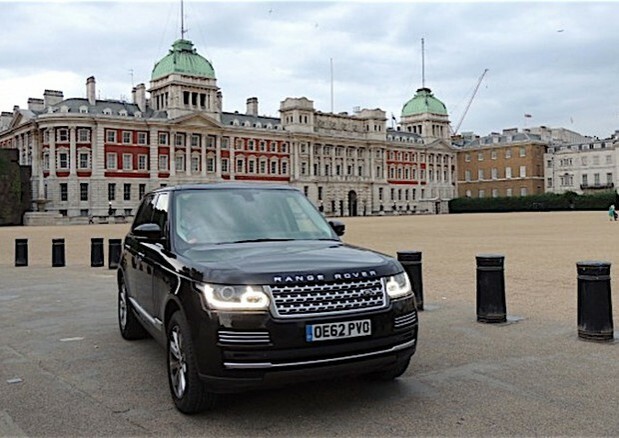 That’s right, we didn’t forget about you, 2018 Black Discovery Land Rover. It’s dark, serious tone was a compliment to the wedding by not overshadowing the attention of the royal cars. But, it’s 7-passenger seating, V6 engine, and contemporary design couldn’t escape our gaze. Meghan Markle and her mother were driven to the wedding in a 1950 Rolls Royce Royal Phantom IV. Dawned with glistening shine and sophisticated dark color (like an actual phantom), the vehicle was a spectacle for car enthusiasts. The Royal Phantom is a glorious piece of automotive history designed specifically for royalty, hence the name. It’s called the Phantom because it’s haunted by previous Kings and Queens of England. Do our eyes deceive us or is that the most primitive model of automobile designs: the carriage pulled by a horse? After Prince Harry and Meghan Markle married, they took a ride around the castle waving to their faithful fans inside a carriage pulled by a horse. The horse-drawn carriage is a car for people who live in the 1700’s, and who want to feel like the most important person in the world.